In honor of Ike Foster and Sarah Smith, Councilmember Trayon White presents Back to School Bash on August 4th from 12 to 4 pm at Garfield Elementary School, 2435 Alabama Ave. SE. There will be FREE School Supplies, Food, Yoga, Haircuts, Face Painting Health Screening etc. Your televisions, newsfeeds, and other media outlets have more than likely been flooded with details around the tragic events that took place on Wednesday, February 14th, at Marjory Stoneman Douglas High School in Parkland, Florida, when an armed gunman took the lives of 17 students and faculty members and injured several others. 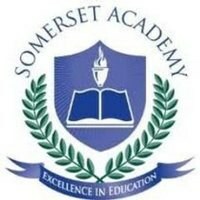 Check here to find out what's going on at Somerset! Somerset Prep DC PCS will OPEN 2-Hours Late on Thursday March 22, 2018. Doors open at 9:25 AM for Middle School Scholar and 9:55 for High School Scholars.